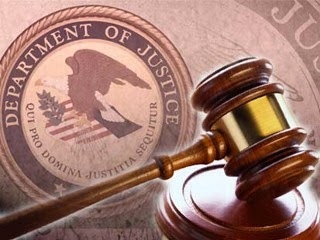 Four Chinese nationals and a trading company based in Dandong, China, were charged by criminal complaint unsealed today with conspiring to evade U.S. economic sanctions and violating the Weapons of Mass Destruction Proliferators Sanctions Regulations (WMDPSR) through front companies by facilitating prohibited U.S. dollar transactions through the United States on behalf of a sanctioned entity in the Democratic People’s Republic of Korea (North Korea) and to launder the proceeds of that criminal conduct through U.S. financial institutions. Assistant Attorney General Leslie R. Caldwell of the Justice Department’s Criminal Division, Assistant Attorney General for National Security John P. Carlin, U.S. Attorney Paul J. Fishman of the District of New Jersey and Assistant Director E.W. Priestap of the FBI’s Counterintelligence Division made the announcement. On Aug. 3, 2016, a U.S. Magistrate Judge Joseph A. Dickson of the District of New Jersey signed a criminal complaint charging Ma Xiaohong (Ma) and her company, Dandong Hongxiang Industrial Development Co. Ltd. (DHID), and three of DHID’s top executives, general manager Zhou Jianshu (Zhou), deputy general manager Hong Jinhua (Hong) and financial manager Luo Chuanxu (Luo), with conspiracy to violate the International Emergency Economic Powers Act (IEEPA) and to defraud the United States; violating IEEPA; and conspiracy to launder monetary instruments. Today, the U.S. Department of the Treasury’s Office of Foreign Assets Control (OFAC) also imposed sanctions on DHID, Ma, Zhou, Hong and Luo for their ties to the government of North Korea’s weapons of mass destruction proliferation efforts. In addition, the department filed a civil forfeiture action for all funds contained in 25 Chinese bank accounts that allegedly belong to DHID and its front companies. The department has also requested tha the federal court in the District of New Jersey issue a restraining order for all of the funds named in the civil forfeiture action, based upon the allegation that the funds represent property involved in money laundering, which makes them forfeitable to the United States. There are no allegations of wrongdoing by the U.S. correspondent banks or foreign banks that maintain these accounts. According to criminal and civil complaints, DHID is primarily owned by Ma and is located near the North Korean border. DHID allegedly openly worked with North Korea-based Korea Kwangson Banking Corporation (KKBC) prior to Aug. 11, 2009, when the OFAC designated KKBC as a Specially Designated National (SDN) for providing U.S. dollar financial services for two other North Korean entities, Tanchon Commercial Bank (Tanchon) and Korea Hyoksin Trading Corporation (Hyoksin). President Bush identified Tanchon as a weapons of mass destruction proliferator in June 2005, and OFAC designated Hyoksin as an SDN under the WMDPSR in July 2009. Tanchon and Hyoksin were so identified and designated because of their ties to Korea Mining Development Trading Company (KOMID), which OFAC has described as North Korea’s premier arms dealer and main exporter of goods and equipment related to ballistic missiles and conventional weapons. The United Nations (UN) placed KOMID, Tanchon and Hyoksin on the UN Sanctions List in 2006. In March 2016, KKBC was added to the UN Sanctions List. In August 2009, Ma allegedly conspired with Zhou, Hong and Luo to create or acquire numerous front companies to conduct U.S. dollar transactions designed to evade U.S. sanctions. The complaints allege that from August 2009 to September 2015, DHID used these front companies, established in offshore jurisdictions such as the British Virgin Islands, the Seychelles and Hong Kong, and opened Chinese bank accounts to conduct U.S. dollar financial transactions through the U.S. banking system when completing sales to North Korea. These sales transactions were allegedly financed or guaranteed by KKBC. These front companies facilitated the financial transactions to hide KKBC’s presence from correspondent banks in the United States, according to the allegations in the complaints. As a result of the defendants’ alleged scheme, KKBC was able to cause financial transactions in U.S. dollars to transit through the U.S. correspondent banks without being detected by the banks and, thus, were not blocked under the WMDPSR program. A complaint is merely an allegation and the defendants are presumed innocent unless and until proven guilty beyond a reasonable doubt in a court of law. The FBI is investigating the case. Trial Attorneys Jennifer Wallis and Michael Parker of the Criminal Division’s Asset Forfeiture and Money Laundering Section, Trial Attorney Christian Ford of the National Security Division’s Counterintelligence and Export Control Section and Chief Barbara Ward and Assistant U.S. Attorneys Joyce Malliet and Sarah Devlin of the District of New Jersey are prosecuting the case. The Criminal Division’s Office of International Affairs provided valuable assistance in this matter.